Caught in a legal soup, don’t know what to do or how to choose an advocate! Check out below certain things one should do and know before appointing an advocate to deal with legal problems effectively. The first question that you would have to ask yourself is if I am getting the best deal or is there somewhere where I can get it done much easier and cheaper. Make sure that you dig up as much information that you can from the internet. Do not think that you are the first person to be in the situation that you are in, so try and learn as much as you can about the past cases and how each one of the got out of trouble. Next before you appoint your advocate, you have to interview or talk to at least three advocates before you finalize the person you would like to hire. 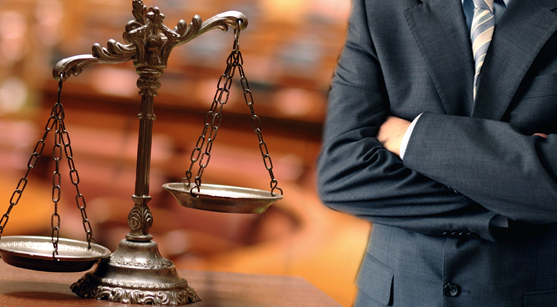 Make sure that he or she has sufficient past experience in handling cases of your nature. Ask him or her, the course of action that he or she is intending to take and what the possible outcomes are for each one of them. Make sure that you ask the advocate his or her fees and the possible cost of the whole exercise. Also, ask him how much time the case would need to resolve the matter. You should also know what to expect from an advocate of proper calibre. He or she must adhere to a code of conduct as prescribed by the bar. They have to make sure that they respect your privileges, be ethical in their dealings and follow rules of professional conduct. These are very high standards and a good advocate must be dutiful and bound by them. The advocate must also fight passionately hard but always be within the bounds of the law. Remember the following things, which are very important and your advocate should always practice. He or she should meticulously study your case and use his or her considerable knowledge and experience to know how to go about it so that he or she is able to win the fight. The advocate should always be able to talk with you and keep you informed as to the progress of the case and anything else of importance. He should in no way represent another client whose case in any way is conflicting with the interest of you case. He should in no way tamper with your property or any belongings that need to be returned to you after the successful completion of the case. Should there be the need of handling your money, he or she should open an escrow account and deposit the money there. Remember that the information that you provide to your advocate are confidential and privileged. This means that in no way shape or form is he or she permitted to provide that information to a third party with or without any vested interest in the case. Should you find him or her to be otherwise, then you should waste no time in making sure to change your advocate and replace him or her with someone who would do all the above. Above all, make sure that you are able to trust him or her to represent you and argue your case on your behalf.